Let’s face it, most of us have a full blown social media addiction. It is just so entertaining to scroll through Instagram while waiting in line at the grocery store. Meeting a friend for lunch and she’s running late? No problem, catching up on your Facebook feed is an easy way to kill the time. Whether you use social media for work or entertainment, you probably have noticed that it consumes more time that it should and may even leave you feeling worse about yourself and your own life. What’s the solution? 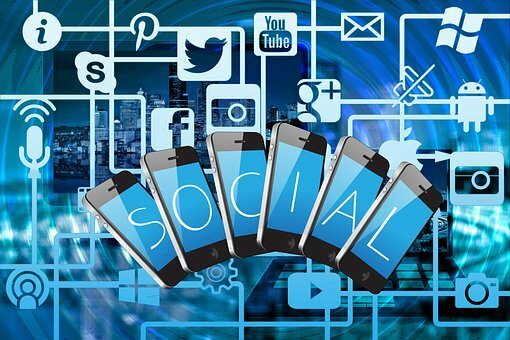 Eliminating social media altogether is certainly a possibility, but before resorting to extreme measures, try implementing these social media detox strategies when you need a breather. A powerful way to disrupt an unwanted habit is to completely abstain for a period of time. Use this tried-and-true strategy intermittently throughout the year if it seems social media’s grasp on you gets very tight, very quickly. One suggestion is to try staying away from all social media for 4-5 days every month. Or you could avoid social media 1-2 days every week. The goal is to have regular periods of time completely free of social media, giving you a break from the compulsion of checking feeds. For the person who scrolls through feeds and plays the comparison game, ask yourself if that is the case with all your social media platforms. Some might find all the curated Instagram photos more triggering, but seeing pictures of friends’ kids on Facebook promotes positive emotion. Maybe you enjoy getting up-to-date news announcements on Twitter, but feel left out when you see a group of friends together on Snapchat and you were not invited. Notice the difference in how each platform makes you feel. Then consider taking a break for 2-4 weeks from those platforms that make you feel badly and only indulge in those that leave you feeling good. The goal is to use social media as entertainment that leaves a lasting, positive impression on your mood. Maybe you do not need a break from social media, but you would like to change how you use it as a crutch. If this is your challenge, begin by identifying the uncomfortable situations that leave you reaching for your phone. The most common is probably while waiting…in line, for the metro, at Starbucks, in an elevator, etc… If you want to increase your comfort level with those awkward, idle moments, break up the social media habit by first trying to sit with the discomfort for a period of time. If you can get through the entire elevator ride sans social media, great! If you can only stand 15 seconds of looking around, it is okay to enjoy the rest of the ride with your nose in your phone. The goal is to create opportunities to practice new skills (i.e., tolerating discomfort) while also enjoying the distraction that social media provides. If you would like help creating a customized plan to improve your relationship with social media or need help with overall life balance, contact me for Life Coaching services!